Daniel works on fishing, although a screenshot with a fishing rod has been shown, but did not understand how it will look for throwing and pulling the float. You will also see some shape in the water? Yes, it's an squid! 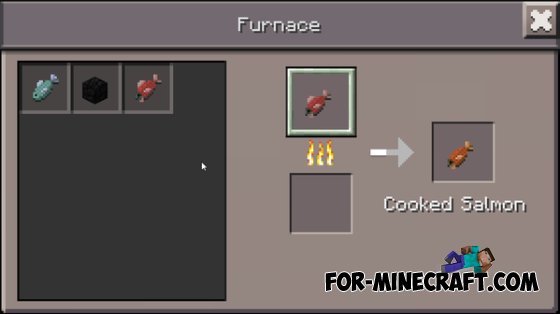 Octopus will also be added to the game. After Daniel finished with fishing, it is likely that it will start adding ocelots. Earlier, Daniel added all kinds of fish from the PC version of the game. 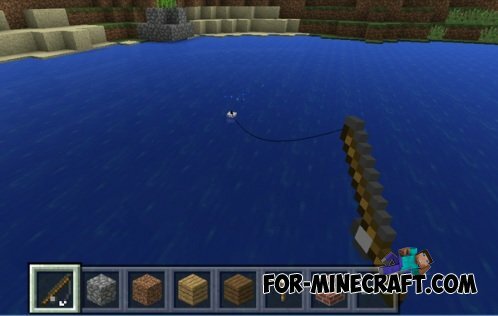 Fishing mod for Minecraft Pocket Edition 0.10.5The mod adds to the game full fishing. You can cast a float for fishing.